Last weekend I did’t go to Paris to only enjoy the snow. 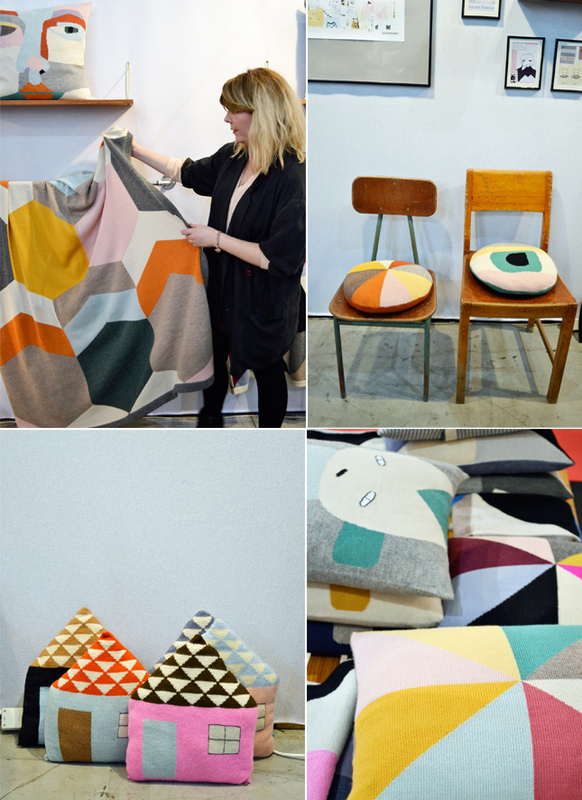 The main reason was the Maison & Objet design fair. 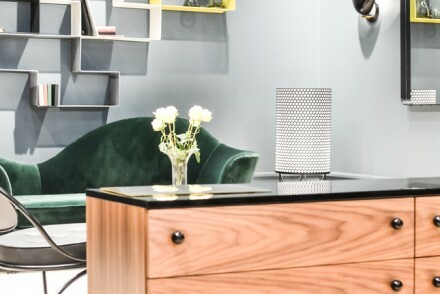 After noticing the new interior design trends for 2013 at the imm Cologne one week earlier, I headed off to the French capital to discover new designs and new brands. 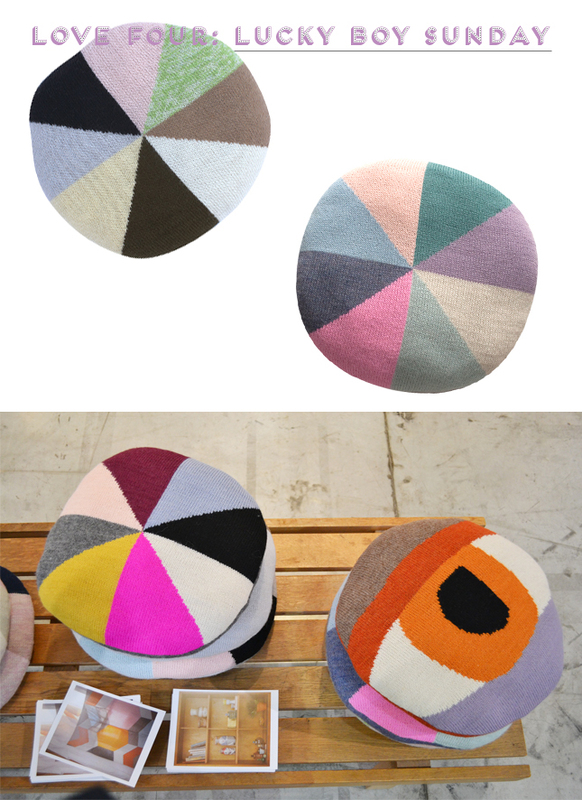 If someone asked me to summarize my impressions from the Maison & Objet in a few words, I’d say: color and individuality are to shape our homes in 2013! One of my absolute highlights from Paris was the discovery of the brand new French design label ‘Singularité‘. The creative trio Marie Dessuant, Julie Arrivé and Emilie Cazin surprise with an airy playfulness and color details in pastel hues. 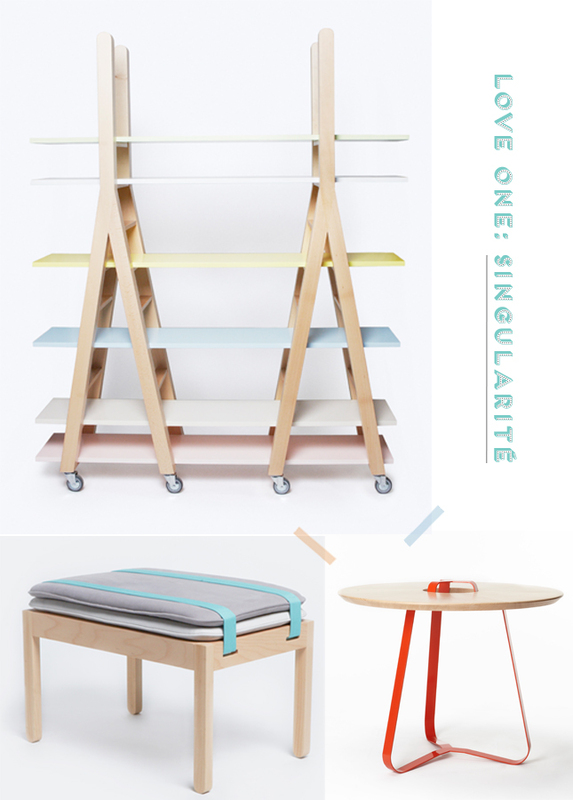 The smart ‘bench goes sofa’ as well as the ‘Etagère Y’ called shelf unit confirm the overall trend of pastel hues and flexible furniture for individual homes. 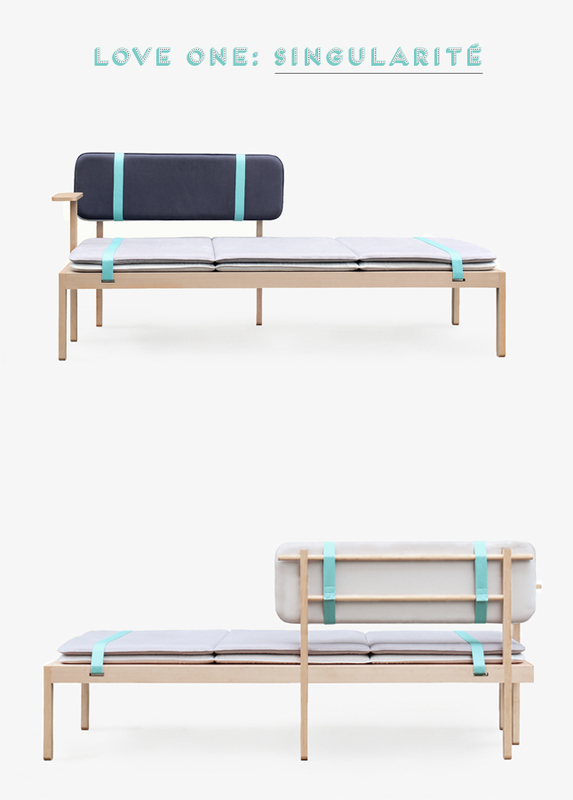 The Danish design evergreen HAY knocked me off my feet with its super cool and modular system called ‘New Order’. The collection is still a prototype and will not hit the stores before late autumn 2013. Various units can be combined, colors and materials can be exchanged and thus every customer can literally design his individual piece of furniture. Maximum individuality for the homes of the future! I particularly loved to discover French designers at the Maison & Objet. 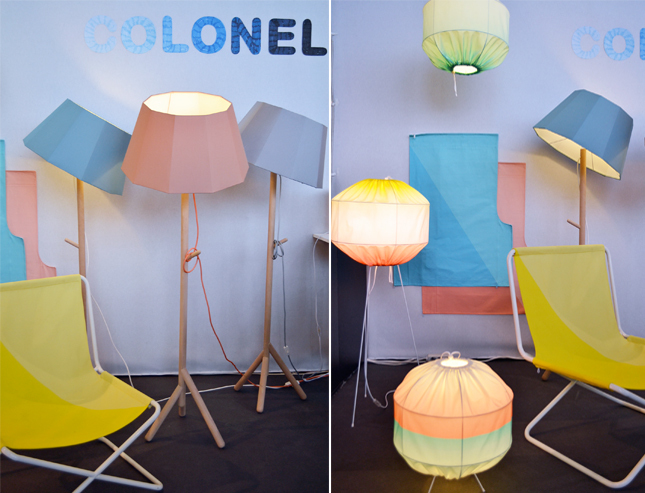 So when I met Isabelle Gilles, the creative mind behind the label Colonel, I could personally express my admiration for her happy lighting designs. 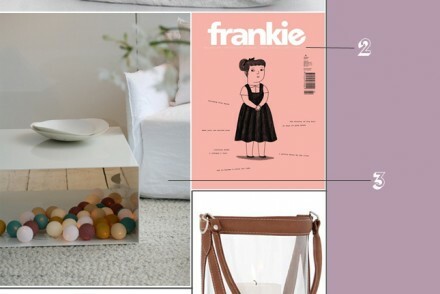 Here again, pastely hues dominated the new collection and crooked lampshades seemed to be the ideal dose of quirk for a happy home! My soft spot for home textiles came to the point of melting when I discovered the stand of the Danish brand Lucky Boy Sunday. The designer Camilla Kørschen introduced me to the new summer 2013 collection and explained the inspiration coming from the world of children and adults, the everyday and the unusual, with a poetic and artistic sensuality. To completely understand this notion, you have to touch their knitted cushions, blankets and toys. These were the softest knitted textiles I have ever felt and the patterns and colors are absolutely adorable. I so want these for my home! 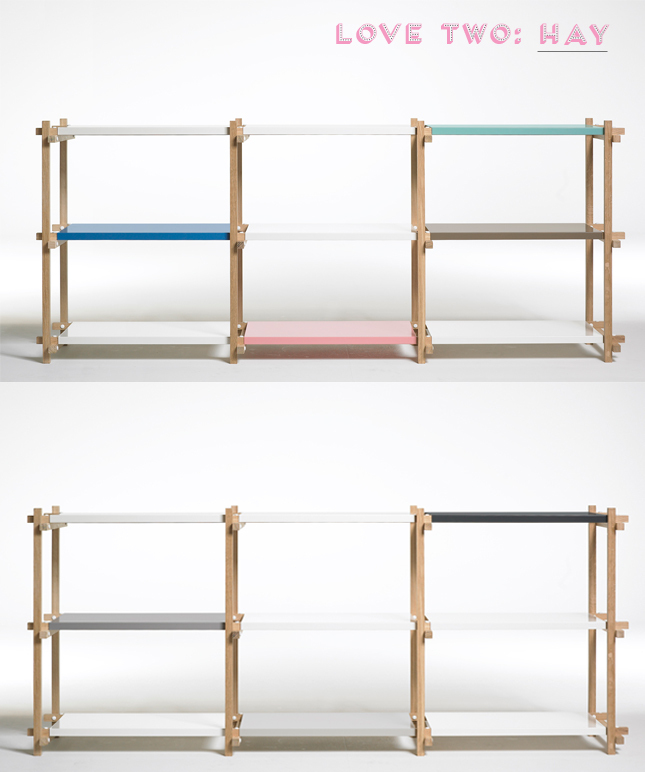 Case Furniture was yet another highlight that draw my attention with the great use of wood, glass and colorful elements. 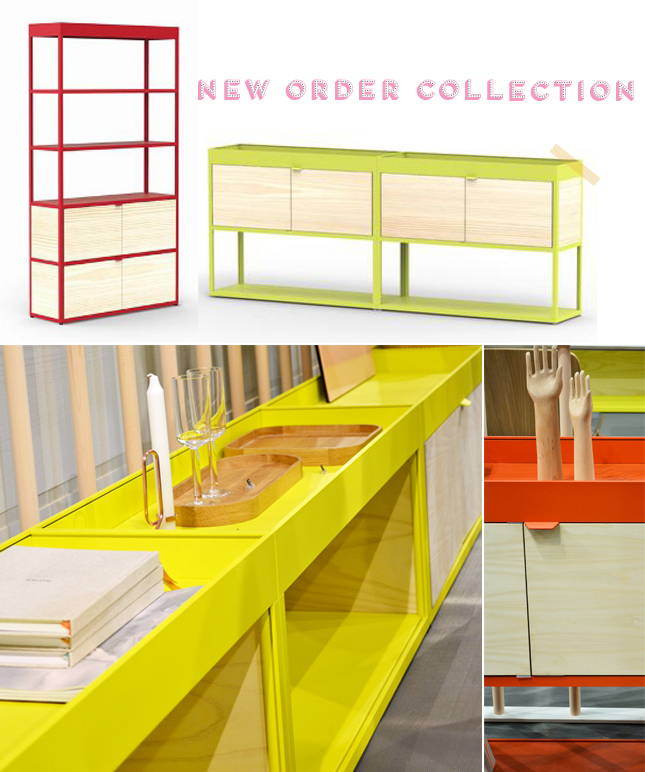 Cabinets, sideboards, tables, chairs and more make part of their sophisticated collection for stylish yet witty homes. 2013 is the year of colors and natural materials, so opt for wooden statement pieces with colorful details. 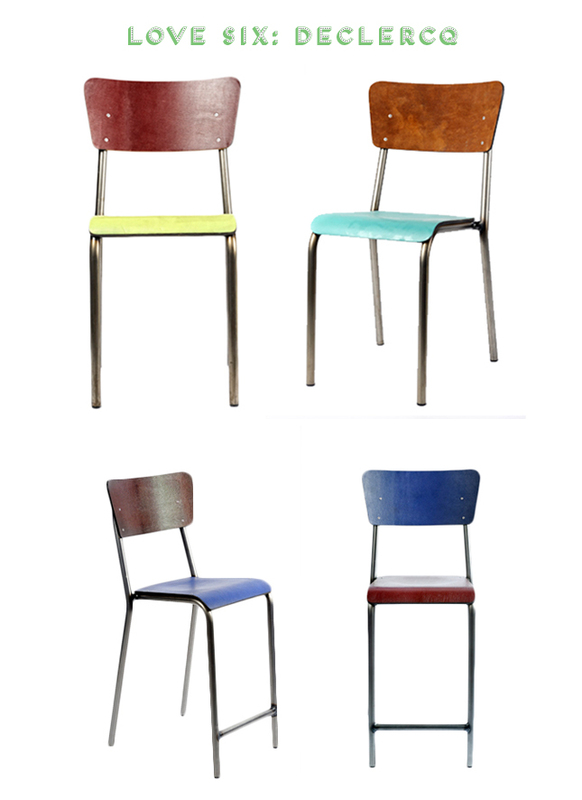 Retro school chairs with a new twist – this was the focus at the stand of Belgian design label Declercq. The retro chairs were reinterpreted with colorful leather upholstery and are best set in scene with a mix & match approach for a cool, urban kitchen. 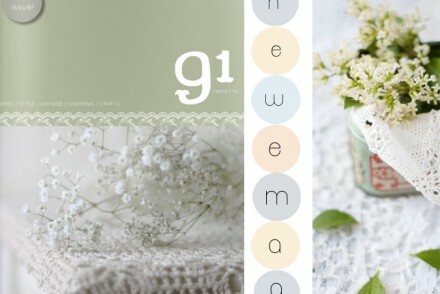 Here again, soft hues confirm the overall pastel trend for 2013. 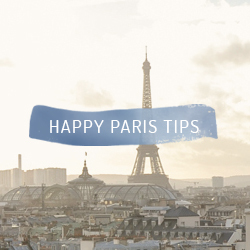 After a long day at the Maison & Objet fair I was utterly tired and completely happy. I love to discover new brands, experience brand new collections and speak to the designers behind the products. 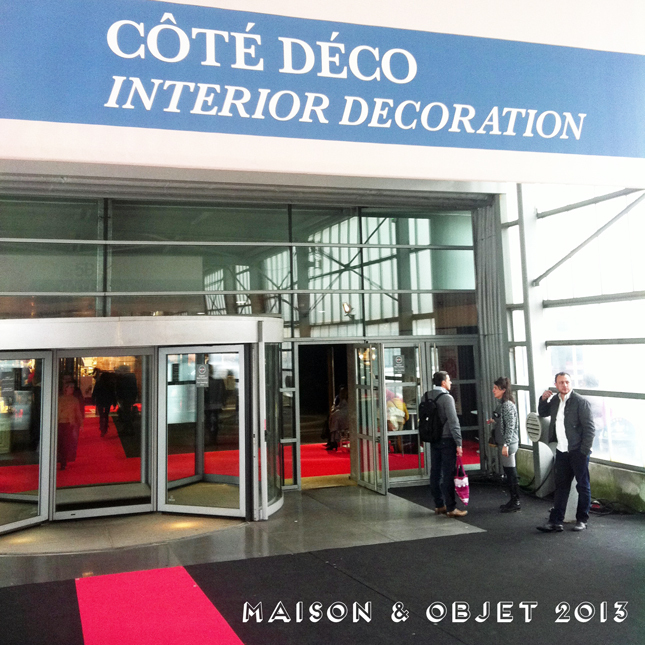 Maison & Objet, I will be back in 2014! I love your loves (! ), Bro, but I loved walking the show together even more! Still can’t get over how cool Lucky Boy Sunday were – such an awesome find! Is it a big surprise that we love the same things?? I’d say no!!! Give us colour and we drool LOL It was just great fun with you at M&O!! Hello boys, well, what a nice round up. Thank you! Love Lucky Boy Sunday and also Case Furniture, very cool! 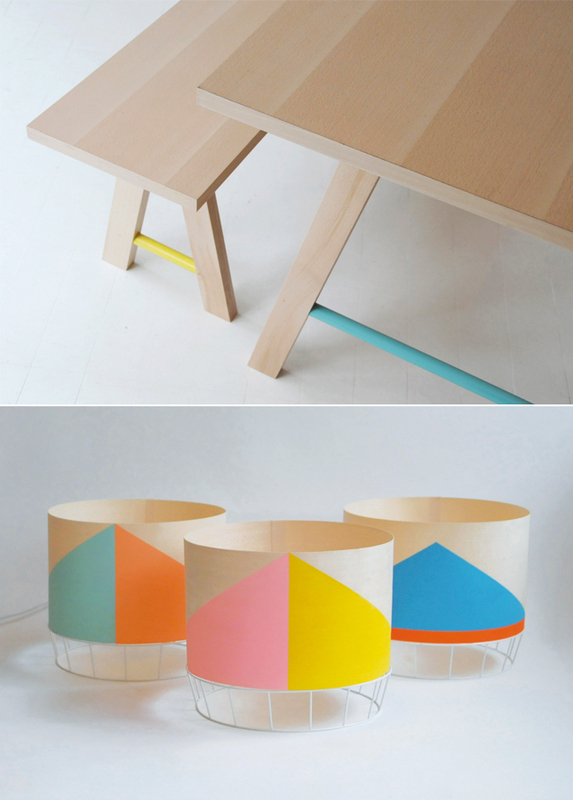 Loving the pastels and geometrical patterns emerging all around us Igor. Nice tour! Oh boy, everything is absolutely stunning. My favorite is the colonel lamp though. WANNA HAVE! Thanks for sharing Igor! Wow, tolle Farben und schöne Eindrücke hast Du mitgebracht! Well Mr Happy, I hadn’t quite realised that you & Mr Bazaar have such similar tastes. 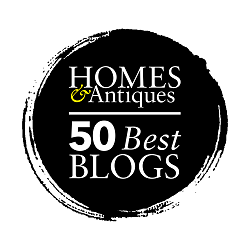 You both picked out a number of the same items from Maison & Objet. At first glance I was overwhelmed by the amount of colour. 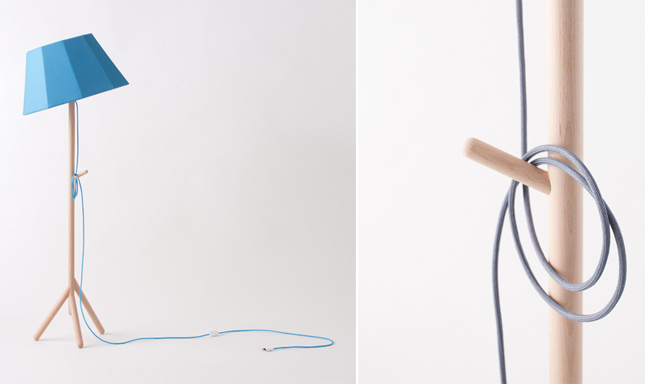 But delving deeper, there are a few standouts for me: Hay’s new modular system – the second of your images with the grey tones; the Colonel crooked lampshades – that first image with the grey & orange; those retro school chairs. 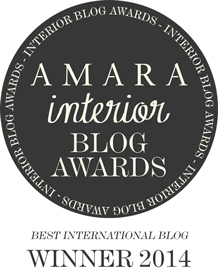 Igor, I would have loved to have gone to Maison & Objet this year but you have gone for me! I love Hay and all they do and now you have introduced me to Case too, thank you for the great selection. Die Lampen und diese Hauskissen, genial! 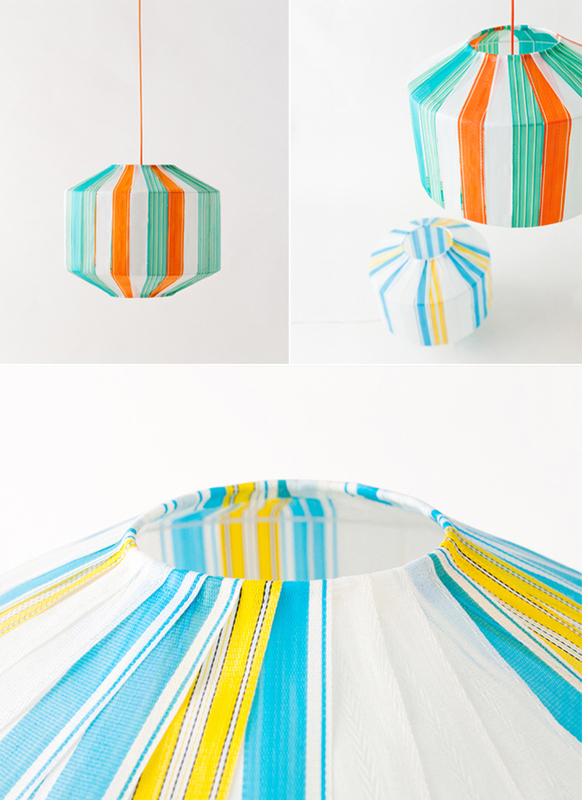 Hi Igor, would have loved to see Maison&Objet – perhaps next time:) Brilliant picks Igor, I have been a fan of HAY for ages, and lucky boy sunday has brought out a divine SS 13 collection. 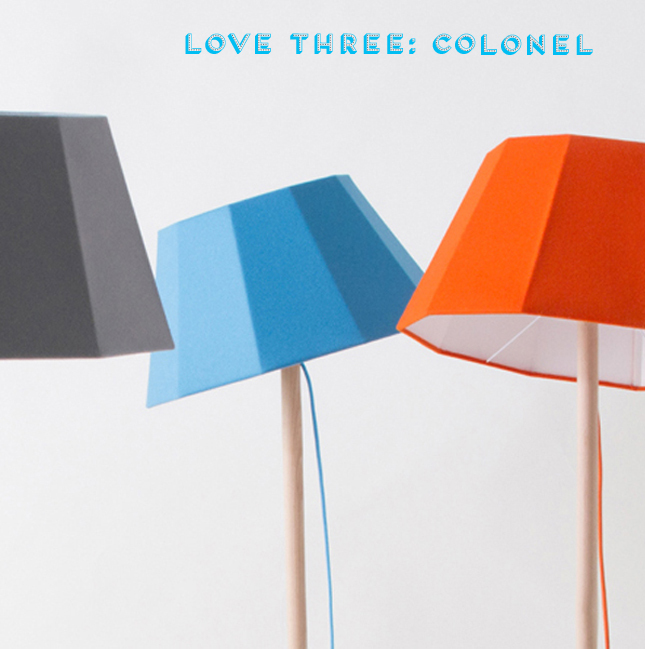 I also adore the lamps from Colonel. love that Isabelle Gilles collection, wow! 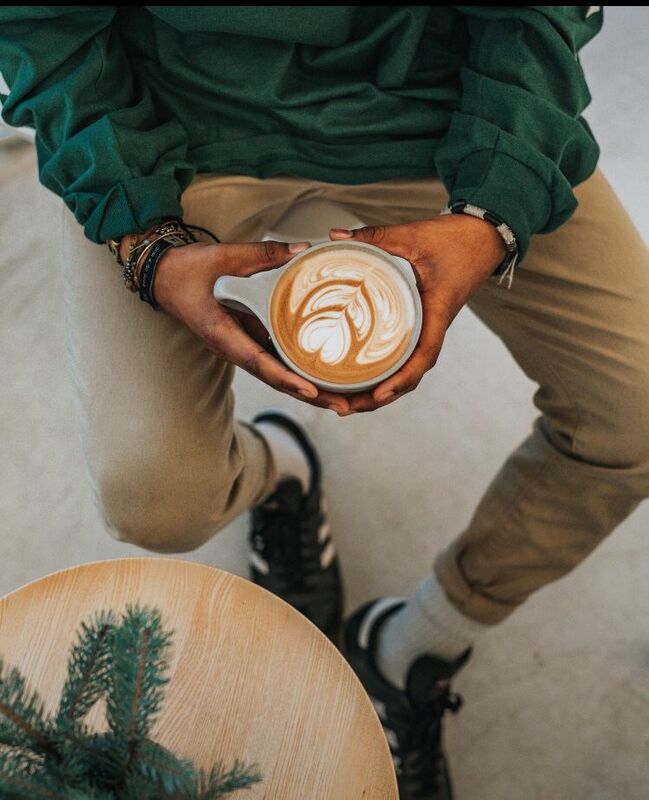 Such a lovely and perfect design.I would say that Interior design isn’t just about the looks of the building’s interior. Well, it is it plays the key role in its functionality because even the biggest house can lack space if having a poor interior style, while a tiny apartment can be transformed into a cosy residence with enough space for almost everything with the right design and the use of modern lighting. 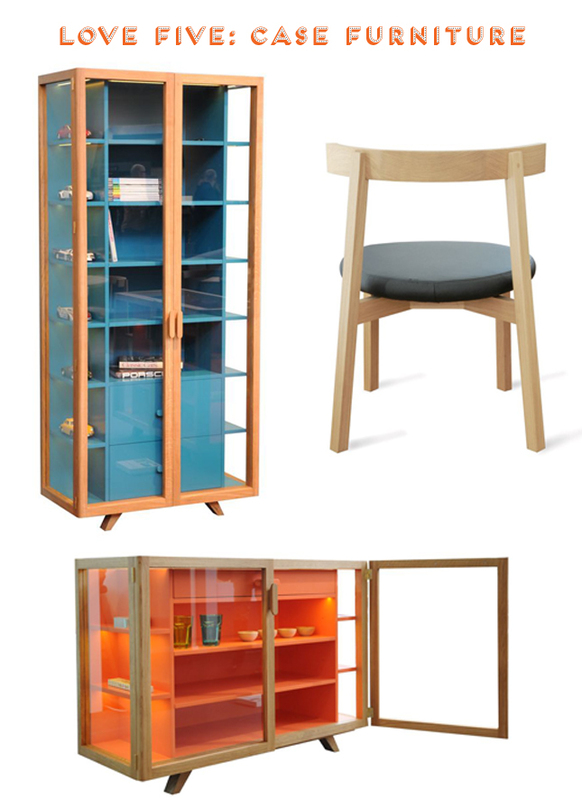 I loved the Hay modular shelves as well and Lucky Boy Sunday was my big big coup de coeur at M&O … well it seems we share the same passion for colors 😉 Thank you for this lovely post! I am really so envious right now that I have not gone to the fair. These are all amazing. I still can’t over the designs by Lucky Boy Sunday. The colors are so lovely and the warmth that these display will really be a great addition to any home. You got some great finds here. Thank you for sharing.